Reproduced from the Ringing World dated 9 February 2007. 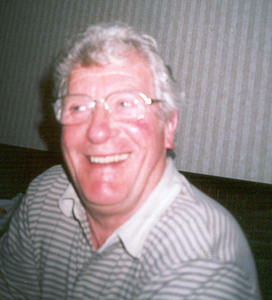 Mike Crowder (or Mick as I affectionately knew him) was born in Barrow on Humber, Lincolnshire and became the fifth generation of the Crowder family to ring at Holy Trinity church in Barrow. The high esteem in which the family were held was recognised throughout the Exercise and appropriately rewarded when they featured on a radio broadcast of "Christmas Day Bells" in the 1960's ringing Barrow bells and their proud heritage was duly mentioned. I first met Mick 50 years ago on a ringing and cycling tour of Gloucestershire organised by Brian Woodruffe. This was the beginning of our life-long friendship. He was very methodical and kept all the original itineraries of this, and many other tours we went on together over the next 50 years. We cycled all over the country and travelled all over the world in pursuit of ringing and fun! He had a dynamic personality and made new friends wherever he went. They always said that after meeting him they felt that they had known him all their lives. Throughout our 50 years of friendship I regularly visited Barrow and became part of his extended family which continued, of course, after he met his beloved Rosie. They married in 1965 and went to live in Barton on Humber, where their two children Deborah and Joanne were born. I also married in 1965 and my wife Joan became part of the Crowder extended family. In 2005 we had a joint celebration of our forty years of marriage, also shared with Alan and Pam McFall. We rang a peal on his favourite bells at Inveraray (and rang another on the following day at St. Cuthbert's, Edinburgh just for good measure!) He had previously, on 6th May 1967, rung in the first peal of London Royal at Inveraray. I am indebted to Ian Campbell for informing me of a little known fact; if it wasn't for Mick those bells would have been sold to India by the Bishop of Argyle and the Isles in the late sixties. Mick rang his first peal on 30th October 1954, aged 12 years at Barrow on Humber and conducted his first peal at Elsham aged 15 years. He rang a total of 505 peals but would undoubtedly have rung many more had he lived closer to a centre of peal ringing activity. Some of his many outstanding achievements included: Four peals of Surprise Royal in a day (Cambridge, London, Lincolnshire, Yorkshire) on 1st April 1967 at Loughborough Bell Foundry (record). 18000 Cambridge S Royal (also a record at the time) in 9 hours 10 minutes on 20th April 1968, and also at the Foundry. 17729 Grandsire Caters at Accrington on 6th November 1976 in 10 hours 21 minutes (record). An attempt to ring 26019 Stedman Caters at All Saints, Worcester on 16th September 1977; failed due to the indisposition of a band member (not Mick!) after 9 hours 35 minutes ringing. He was also a proud member of the Society of Royal Cumberland Youths. The last peal I rang with Mick was at Marple on 12th November 2005 when he was beginning to show signs of an illness which was cruelly and tragically to cut short his life just over 12 months later. Everyone was distraught when we first found out how ill he was. Throughout his long and often painful illness, this unique man kept his sense of humour and even though sometimes bed-ridden, using his skill and informed awareness of technology, he kept his other interests alive. He always knew the state of the stock market and how his shares were doing! Whatever he did he always gave 110 per cent. Rosie was a wonderful support to him throughout his life, keeping the home running smoothly and providing excellent meals which Mick always relished. There was always a warm welcome and no one ever left feeling hungry or thirsty. It was a great honour and privilege for me to be asked by Rosie and her family, to deliver a eulogy dedicated to my very dear friend Mick Crowder, to a congregation of almost 400 friends and family at Holy Trinity, Barrow on Humber. He was the most genuine, caring and compassionate friend you could ever hope to have. Finally, one well used adjective he often used sums up the life of Michael W Crowder - "MARVELLOUS".